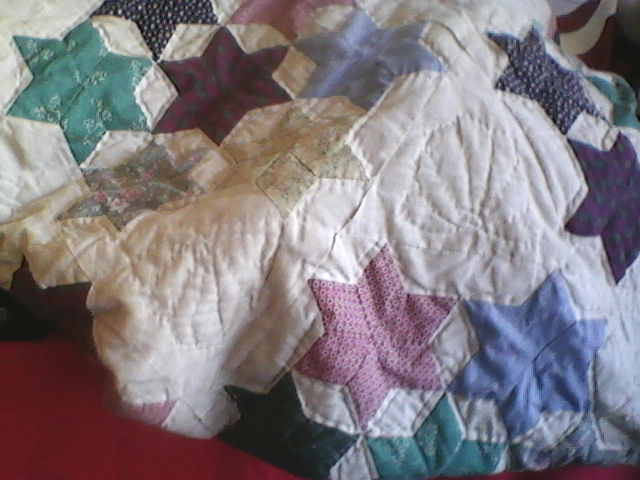 Many dealers at Brimfield have quilts even though not all who feature them specialize in them. I try to post on Thursday, which is also when I go to use the long-arm. This past Thursday, however, I was cleaning and prepping for the visit from a friend, and so I didn’t get to this blog. 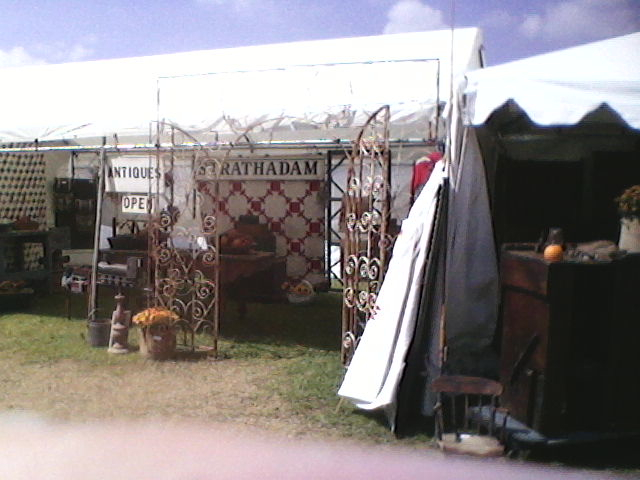 It was the last Brimfield of the year and this time we went on Friday when more dealers were open. Saturday is good, but some of the dealers pack up earlier because they are traveling on Sunday. One of the things I really love about antique quilts is that even when they’re imperfect and downright wacky, they seem to represent that “real” human women were making them. The piecing is great on this one. 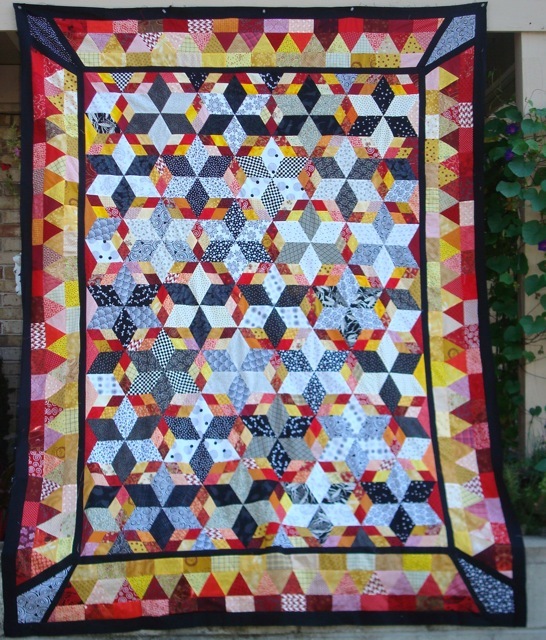 The quilting… not so much, but the quilter obviously did as good a job as she could and the resulting top looks terrific! The quilts that generally show up at Brimfield are not the stellar, “hang-in-the-museum” types, but more like the kind that I do which makes a great counter-weight to going to Quilt Shows. Since I didn’t get to use the long-arm last week, it means that I still have to choose a project to work on for the next couple of weeks. Coming back from Brimfield, I thought Brimfield Star, but I don’t think I have a backing I like with it, and I’m not even sure what kind of thread to use. I might have even decided all that, but if so, I forgot. I really should write these things down… oh wait, I probably did. I just lost the list. 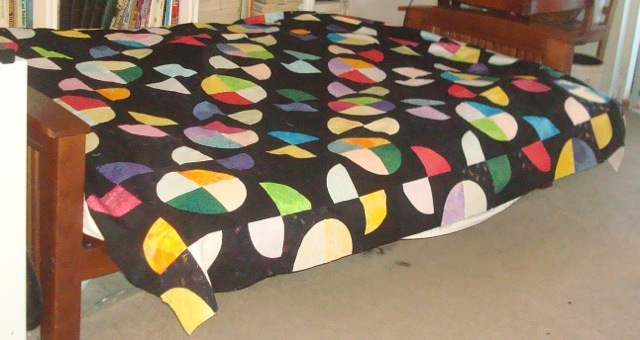 The second of the Drunkard’s Path quilts. So, that’s what I’ll be up to this week. I may post again on Thursday, or I may make a move to Mondays… who knows?